In 2000 the City of Phoenix began digging piles of trash, tires, appliances, and hulks of old cars out of a 5-mile section of the Salt Riverbed that had served as a dump for decades. Today, the Rio Salado Habitat Restoration Area is a 600-acre park with 39 acres of marshlands, 200 bird species, including 50 burrowing owls, and miles of hiking and biking trails. The Salt River once flowed through Phoenix before dams were built over 100 years ago to store water for farmers, and later, for homes and businesses in the Greater Phoenix Metropolitan Area. The Valley received the water it needed to grow but the empty riverbed scarred the heart of the city. In the late 1980s, Phoenix began to re-imagine the riverbed as a park stretching from 24th Street to 19th Avenue. Back then the estimated $80 million restoration of the riverbed was for dreamers. After all, the riverbed was 80 percent landfill. The dreamers included a development company that tried for years to find a safe way to build and irrigate a golf course along the south side of the riverbed between 7th and 16th streets. The golf course was never built, but the dreamers won without it. In 1991, Maricopa County Supervisor Ed Pastor was elected to Congress and made the restoration of the Salt River his mission. Federal money made the project possible. The Rio Salado Habitat Restoration Area was a partnership among the City of Phoenix, the U.S. Army Corps of Engineers, the Maricopa County Flood Control District and the Arizona Water Protection Fund. At the time, it was the largest restoration project ever attempted by the Corps. To create the park, the city removed 1,185 tons of tires and 138,572 cubic yards of trash. Five groundwater pumps were added to the site. The pumps create a riparian pond at the park’s Central Gateway at South Central Avenue just south of East Watkins Street. The pumps also maintain marshlands and irrigate some trees and bushes. Water from 33 storm-drain outfalls flows directly into the habitat. 76,000 trees, plants and shrubs, including a Monarch butterfly sanctuary with willows, sages and milkweed. Most of the native trees were grown from seeds and cuttings gathered from within a half mile of the river bottom. More than 200 species of birds, including 50 burrowing owls, roadrunners, ducks, herons and egrets. There also are beavers, fish, turtles, snakes and toads. 39 acres of marshland, 16 miles of hard surface and dirt trails, 12 shade structures and dozens of benches. 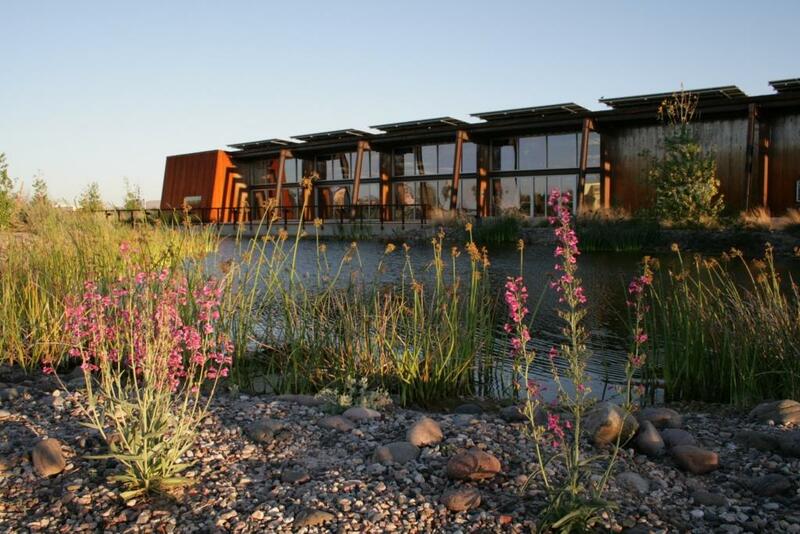 The Nina Mason Pulliam Rio Salado Audubon Center serves as the park’s nature center. Admission is free. Among other programs, the center offers interactive exhibits, birding classes, and an interpretive loop trail with connections to the Rio Salado Habitat Restoration Area's trails. The center also helps to connect students and volunteers to the park. 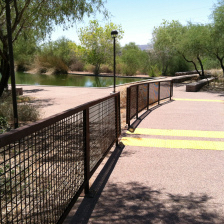 The Rio Salado Habitat Restoration Area is especially popular with migrating birds in the fall and spring. Perhaps it’s time to put it on your list of places to visit and take winter guests. Don’t forget the binoculars. You can learn more about the restoration of the Salt River on Phoenix's website.